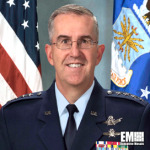 Gen. John Hyten, commander of the U.S. Strategic Command, said at a Senate hearing on the fiscal 2020 defense budget that the nation needs nuclear triad modernization, the Department of Defense said Tuesday. Hyten told senators there should be a focus on updating the triad’s communications system and producing a network of ground and space-based sensors and radars that detect missile launches. 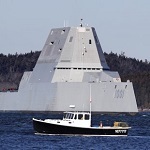 The U.S. Navy is holding a commissioning ceremony for the future USS Michael Monsoor destroyer on Saturday at Naval Air Station North Island in San Diego, Calif., the Department of Defense said Wednesday. The second Zumwalt-class destroyer will be deployed to support naval, joint or combined maritime missions including aviation, surface and undersea operations. A new study from the Department of Defense highlights the potential impacts of climate change on military installations across the U.S. DoD said there has been a growing need for inland and littoral flood planning and mitigation efforts, research and flood protection infrastructures to address vulnerabilities of bases from climate-related events, according to the report released Jan. 10.